Sir Martin Archer Shee, P.R.A. Engraved by W. T. Fry, after J. Jackson. Was born in Dublin on 20th December, 1769, of a family originally from Kilkenny, which had migrated to the county of Mayo. His grandfather George Shee of Castlebar had, by his wife Mary, daughter of Martin Kirwan of Blindwell, County Galway, four sons, the youngest of whom, Martin, in business as a merchant at Usher's Quay, Dublin, married on 16th April, 1763, Mary, daughter of John Archer of Riverstown. Of this marriage there were four children, of whom two only survived infancy, George, and Martin Archer Shee, the fourth and youngest child. In 1771, a year and ten months after his birth, his mother died, and her sister, Mrs. McEvoy, devoted herself to the care and upbringing of the children. His father, in consequence of blindness, was obliged to give up business, and retired to a small cottage at Cookstown, County Wicklow, where he died on Christmas Day, 1783, aged 63. Martin was put to school in Dublin and received a good education. Whilst residing in Wicklow the sight of some Dutch tiles in a house he was visiting first suggested to him a desire to draw; and one Sunday when alone he contrived to produce some copies which excited the wonder and praise of his family. He was supplied with a small drawing-box and materials with which he pursued his studies from engravings and sketches. 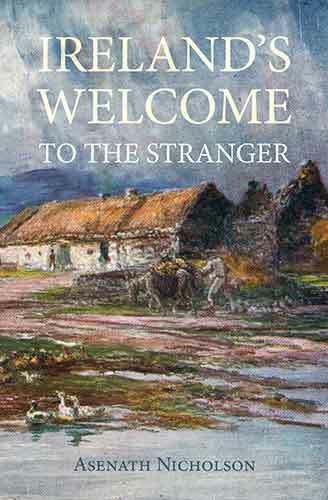 Evincing a strong desire to become an artist he was, at length, with some reluctance on the part of his family, allowed to study in the Dublin Society's Schools, and on the 1st March, 1781, at the age of 12, entered there as a pupil. He continued in the school until 1783, and under his master, Francis Robert West, made rapid progress, winning nearly all the medals and prizes he competed for. He and John Mulvany (q.v.) were in 1782 declared equally deserving of the medal for landscape drawing, and they were directed to draw lots. Mulvany requested that, as he had already won the medal for figure drawing, that for landscape drawing should be given to Shee. In 1783 he won the medal for portrait painting. During this time he was living with his aunt who had married a Mr. Dillon. One night, overhearing a conversation in which Mr. Dillon appeared to resent the care and affection bestowed upon him, he determined to be no longer a burden upon his aunt. He secretly left the house and took lodgings for himself, resolving to adopt art as a profession and to maintain himself. His first work was painting the figures on a clock face, for which he received ten and sixpence. As a portrait painter his early attempts were in crayons, and after a short time he found himself coming into notice as an artist. Moving to 32 Dame Street he gradually attracted a good class of patrons, and he ventured to try his skill in oils. His first sitters were members of the Blake family of Ardfry, County Galway, including Miss Elizabeth Blake, afterwards the wife successively of the Earl of Erroll and of John Hookham Frere. This portrait was sold at Christie's in 1907. In a letter written by him in 1786 he says: "I am at present as busy as any one with only one head and two hands can possibly be . . . I have pictures in hands to the amount of more than fifty guineas . . . I am also to receive a silver palette from the Dublin Society in token of their approbation of my pictures . . . I have some expectation of painting the portrait of the beautiful Mrs. Stratford." There is no record, however, of Mrs. Stratford, who was afterwards Countess of Aldborough, having sat to him. The silver palette referred to was awarded to him by the Dublin Society in November, 1786, "in testimony of the Society's approbation of the drawings from life laid before them." Shee was fond of the theatre and had many friends connected with the Dublin stage, some of whose portraits he painted. One of "Thomas Ryder," manager of the Smock Alley theatre, was engraved and published by James Ford (q.v.). On one occasion he took part in some private theatricals, when as Lothario in "The Fair Penitent" he received a painful wound in the duel scene owing to the button of his antagonist's sword breaking off. Although he was now only in his seventeenth year he was in full occupation as a portrait painter, and his popularity as an artist was increasing, but he was anxious to remove to a more congenial atmosphere where his talents might have a larger scope. In this he was encouraged by Gilbert Stuart, then painting in Dublin, and accordingly he left Ireland, embarking for Liverpool on the 24th June, 1788. Two days later he arrived in London and took lodgings in Southampton Street. Although well supplied with letters from his friends in Ireland, he found them of little use, and his success in Dublin did not avail him towards the advancement of his fortunes in London. Giving up crayons he applied himself to painting in oil and set to work, undaunted by his first rebuffs, painting such portraits as offered, but although he worked diligently and underwent much self-denial and privation, he found but little employment and was glad to accept a commission from Macklin and Boydell to make small copies of pictures for the engravers. He moved to Craven Street in 1788, and in 1789 he had two pictures hung in the Royal Academy, a "Portrait of an old Man" and a "Portrait of a Gentleman." He had probably sent others which were not accepted, as in a letter written to his friends in Ireland on 7th November, 1788, he speaks of several portraits intended for exhibition, and says: "I am making an experiment in the historical line, and have now nearly finished a picture of 'King Lear in the Storm with Gloster and Edgar.'" In 1790 he sent four portraits to the Academy, but to his chagrin and disappointment they did not gain a place on the Academy walls. About this time he became acquainted with Alexander Pope (q.v. ), the actor and artist, who interested himself in him, often had him at his house and procured him sittings from several of the well-known actors of the day. Through him and his cousin, Sir George Shee, then recently returned from India with a fortune, he obtained an introduction to Edmund Burke which led to an interview with Sir Joshua Reynolds. Sir Joshua advised him to enter the schools of the Royal Academy, and accordingly, with some mortification, thinking himself beyond the need of such instruction, he obtained admission as a student in November, 1790. He soon became known as a clever and promising young artist, work began to come to him, and he found himself making steady progress as a portrait painter. He took Lawrence's studio in Jermyn Street when that artist migrated to Soho at the end of 1790, and in 1791 he had four portraits accepted and hung in the Academy. The following year seven of his works gained admission, including a portrait of "W. T. Lewis" as the Marquess in "The Midnight Hour," his first full-length hung on the Academy walls. These and other portraits exhibited in the next two years established his reputation and gave him an assured place as a portrait painter. He had sitters from every rank of society, and his accomplishments and dignified and gracious manners obtained for him the entry into the best circles of literary and fashionable society. In 1796 he took a house in Golden Square, and on the 19th December he married Mary, eldest daughter of James Power of Youghal. He was now firmly established as an artist, and in 1798, on the 3rd November, he was elected an Associate of the Royal Academy. In the following year he moved to Cavendish Square, taking the house formerly occupied by Romney, and on 10th February, 1800, he was elected a full Member of the Royal Academy. Although his fame and reputation as an artist had come to him as a portrait painter he found time to try his hand at subject and historical pictures. His picture of "King Lear," painted soon after his arrival in London, has been already mentioned. Another picture, "The Daughter of Jephtha lamenting with her Companions," which, as he says, cost him three years thought and toil, was in the Academy in 1794, and his "Prospero and Miranda," a large canvas, was exhibited in 1806. Other similar works were "Lavina" and "Belisarius," his presentation picture to the Academy. None of these, however, added much to his reputation. The world is all astonished!—so is Shee. Before long Shee was called upon to show his ability and diplomatic powers when he had to defend the Academy against the violent attacks made upon it in the Press and in Parliament. He upheld the interests of the institution with great ability, judgment and determination, and rendered important services not only to the Academy but to his profession. Whose pen and pencil yield an equal grace. In 1805 he gained a literary reputation by his "Rhymes on Art," continued in 1809 under the title of "Elements of Art." In addition to these he published "Commemoration of Reynolds, and other Poems," in 1814; and two novels: "Oldcourt" in 1829, and "Cecil Hyde" in 1834. In 1823 he completed a tragedy, "Alasco," on the subject of the partition of Poland, which was accepted by Charles Kemble for production at Covent Garden, but was withdrawn owing to certain changes insisted on by the licenser of plays. It was published in 1824. About 1843 his health began to decline, and in 1845, when he sent his last contribution to the Academy, he tendered his resignation of the presidency. But at the earnest solicitation of the whole body of Members and Associates he consented to devote whatever health and strength remained to him to the services of the Academy, and he was granted a salary of £300 a year for his life. His health gradually declined, and the sudden death of his wife in 1846 was a blow from which he never recovered. He died at Brighton on the 19th August, 1850, and was buried in the cemetery there. Shee's portraits, though less brilliant than those of his rival Lawrence, show much individuality of character, and are solidly painted and often forcibly modelled. His earlier works are his best, and his faults, especially in his flesh painting, which tended to an unpleasant redness, and to a laboured smoothness, became more marked in his later portraits. He scarcely indeed fulfilled the promise shown in his early works. Shee, as described by his son in his "Life," was under middle size, not more than five feet five in height; his figure was compact and muscular, and rather stout in proportion to his height. His features were regular and expressive, and his smile had a peculiar winning brightness. The singular formation of his brow, unusually prominent, contributed in moments of excitement or deep mental preoccupation to give to his countenance a character of intensity and resolution. Shee had three sons and three daughters, who all survived him. Himself, at the age of 25. [Major Martin A. Shee, 16 Park Street, London.] R.A., 1795. George, 4th Earl of Aberdeen. R.A., 1839. James, Lord Abinger. [Sir Robert Peel, Bart., Drayton Manor.] R.A., 1835. Engraved by H. Cousins, 1837. 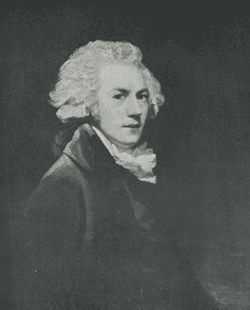 Alexander Adair, of Flixton Hall. Engraved by C. Turner, 1813. Sir William Addington. R.A., 1795. Engraved by W. Ward, 1795. Queen Adelaide. [Buckingham Palace.] R.A., 1837. William, 4th Earl of Albermarle. [Major M. A. Shee, 16 Park Street, London.] Christie's, 19th June, 1901, collection of B. Keppel, Laxham Hall, Norfolk. Engraved by C. Turner, 1820. Lord Althorp. [Earl Spencer.] R.A., 1801. James Andrews, surgeon. R.A., 1803. Engraved in mezzotint by J. C. Easling, 1807. Henry W., 1st Marquess of Anglesey, K.G. [Waterloo Gallery, Windsor.] Painted for the King. R.A., 1836. Two Boys of the Annesley Family. [Lockett Agnew.] R.A., 1793, exhibited as "Two Young Gentlemen." Barry Yelverton, 1st Viscount Avonmore. R.A., 1801; R.H.A., 1830. Rt. Hon. William Bagwell. [Richard Bagwell, Marlfield, Co. Tipperary.] Copies of both pictures (this and above) belong to Mr. John Croker, of Ballinagarde. Two Children of Joseph Barretto, of Calcutta. R.A., 1826. H. Bathurst, Bishop of Norwich. R.A., 1818. H. Bathurst, Bishop of Norwich. R.A., 1820. Engraved by C. Turner, 1820. Lady Sarah Bayley. R.A., 1827. Sir William Beechey. Lithographed by Miss Turner. Mr. Billington. Painted in 1788. The Misses Birkett. R.A., 1822. Elizabeth J. Blake, of Ardfry, afterwards wife of George, 16th Earl of Erroll, and of Right Hon. J. Hookham Frere. Painted in Dublin about 1786. Christie's, 5th July, 1907, collection of J. Tudor Frere. Sir Gilbert Blane, Bart., M.D. [College of Physicians, London.] R.A., 1833. John Boheme. Christie's, 25th June, 1898. J. P. Boileau, R.A., 1834. Mr. Bourke. R.A , 1800. James Bowstead, Bishop of Lichfield. Painted for Corpus Christi College, Cambridge. R.A.,1841. Engraved by H. Cousins, 1842. John, 1st Earl Brownlow. R.A., 1835. Presented by Lord Brownlow to the Rev. W. F. Baylay. Sold by John Baylay at Christie's, 23rd April, 1910. Engraved by S. Cousins, 1843. Richard Bull, artist. R.A., 1795. 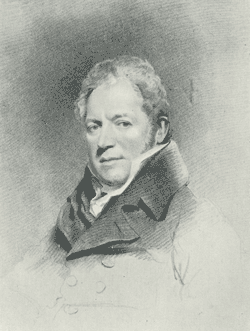 Sir Francis Burdett. [The late Baroness Burdett-Coutts.] One of these was in R.A., 1836; the other in 1844. Sir William Burnett. Painted for the medical officers of the Navy. R.A., 1843. Engraved by H. Cousins, 1844. Two Sons of Sir John Campbell. R.A., 1835. Sir Anthony Carlisle. R.A., 1795. Sir Anthony Carlisle. R.A., 1824. Engraved by H. Robinson for Pettigrew's "Medical Portrait Gallery," 1838. Mr. Castle, of the Temple. Painted in 1788. Lydia, Countess of Cavan. [Lt.-Col. Percy Lambart, Lindfield, Sussex.] R.A., 1829. Engraved by E. Scriven for "La Belle Assemblee," 1829, and Burke's "Portraits of Distinguished Females," 1833. Sir Francis Chantrey. R.A., 1832. William, Duke of Clarence.—See William IV. Mrs. Clementson. Christie's, June, 1903. Sir C. Bethel-Codrington, Bart. R.A., 1837. Sir C. Bethel-Codrington, Bart. [Sir Gerald Coddrington, Bart.] R.A., 1839. Lady Bethel-Codrington. [Sir Gerald Coddrington, Bart.] R.A., 1839. Hon. Arthur Cole, Resident at Mysore. [B. R. Balfour, Townley Hall, Drogheda.] One of these was painted in 1801. Lt.-General Sir George Cooke. R.A., 1828. Miss Eliza Cooper. R.A., 1831. Lt.-General Sir Eyre Coote. R.A., 1810. Engraved by H. R. Cook for the "Military Panorama," 1814. Eyre Coote, M.P. R.A., 1832. Edward Coplestone, Bishop of Llandaff. R.A., 1838. Edward Coplestone, Bishop of Llandaff. R.A., 1844. One of these was exhibited at South Kensington in 1868, by the Misses Coplestone. Miss Corbould. [Major M. A. Shee, 16 Park Street, London.] Bought at Christie's, 7th May, 1909. Lady Jane Coventry. R.A., 1819. Hon. Charles Cust, Royal Horse Guards. R.A., 1841. William Beresford, 1st Lord Decies, Archbp. of Tuam. [Hope collection, Deepdene.] R.A., 1810. Thomas, 1st Lord Denman. [National Portrait Gallery.] R.A.,1833. Thomas, 1st Lord Denman. R.A., 1840. Jane, Lady Dering, daughter of William, 2nd Lord Kensington. William, 6th Duke of Devonshire.—See Hartington. Sophia, wife of T. F. Dibdin. Puttick and Simpson's, 8th December, 1908. Mrs. Croker Dillon, aunt of the painter. Bought by Messrs. Colnaghi at Christie's, 8th May, 1897. Mrs. J. Dillon. R.A., 1805. The Misses Dillon. R.A., 1802. F. Dizi, harpist. R.A., 1826. Christie's, 5th December, 1908. Humphry Donaldson. Engraved by S. W. Reynolds, 1804. Rev. Sir Henry Robert Dukinfield, Bart. Engraved by C. Jousiffe, 1818. Rev. Sir Henry Robert Dukinfield, Bart. Painted for the parishioners of St. Martin's. R.A., 1843. John Wm. Lord Duncannon, afterwards 4th Earl of Bessborough. [Earl of Bessborough.] R.A., 1803. Thomas Earnshaw. R.A., 1798. Engraved by S. Bellin. Hon. William Edwards, R.N., afterwards 3rd Lord Kensington. [Lord Kensington, St. Brides, Little Haven.] R.A., 1826. Lady H. Ellice. R.A., 1810. Rear-Admiral Sir George Elliott. R.A., 1838. E. Ellis and the Artist. R.A., 1816. Mrs. H. Elwes. R.A., 1821. Henry, 1st Marquess of Exeter. [Marquess of Exeter, Burghley House.] R.A., 1802. Brownlow, 2nd Marquess of Exeter. [Marquess of Exeter, Burghley House.] R.A., 1834. Engraved by C. W. Wass as a companion plate to that of Isabella Marchioness of Exeter, after Lawrence. Captain Sir W. G. Fairfax, R.N. R.A., 1798. Mrs. Fairlie and children. R.A., 1816. William Fairlie. R.A., 1816. Engraved in mezzotint by J. Young, 1817. Rev. Sir Charles Farnaby, R.A., 1844. John Fawcett, actor, as Touchstone. R.A., 1797. Engraved by W. Ridley in "Monthly Mirror" for August, 1799. Christie's, Sir Henry Irving's sale, December, 1905. Hon. Mrs. Ferguson. R.A., 1798. Lord William Fitzgerald. [Duke of Leinster, Carton.] R.A., 1819. Rt. Hon. John Hookham Frere. R.A., 1822. Rev. — Gordon. R.A., 1815. Pascoe Grenfell, Governor of the Exchange Assurance Co. Painted for the Company; destroyed in the fire at the Royal Exchange in 1838. R.A., 1831. Engraved by S. Cousins, 1832, private plate. Dowager Countess Grey. R.A., 1810. Sir Henry Halford, Bart. [Sir Robert Peel, Bart., Drayton Manor.] R.A., 1834. Edward Harding. R.A., 1793. Engraved by S. W. Reynolds. W. H. Harriott. R.A., 1827. Mrs. W. H. Harriott. R.A., 1817. Mrs. G. Harris. R.A., 1810. William, Marquess of Hartington, afterwards 6th Duke of Devonshire, R.A., 1806. J. D. Herbert, artist. R.A., 1805. Mrs. Samuel Hibbert. R.A., 1822. Mrs. Robert Hicks. R.A., 1830. Johann Andreas Hoffmann, bandmaster to George III. Christie's, 27th July, 1901. Mrs. H. Holden. R.A., 1825. Mrs. Hope; Louisa, daughter of Lord Decies, wife of Thomas Hope, and afterwards of Viscount Beresford. [Hope collection, Deepdene.] R.A., 1808. William Howley, Archbp. of Canterbury. R.A., 1841. Christopher Hughes, American Minister at Stockholm. R.A., 1833. Sir William Ingleby, Bart. R.A., 1845. Sir Robert H. Inglis, Bart. R.A., 1839. Miss Jerningham, afterwards Lady Bedingfield. R.A., 1794. Edward Jerningham. R.A., 1793. Engraved by P. Thomson for "The European Magazine," 1794. Edward Johnston, in a Van Dyck dress. R.A., 1827. Mrs. Edward Johnston. R.A., 1832. Two Children of Edward Johnston. R.A., 1835. John Henry Johnstone, actor. R.A., 1791. John Henry Johnstone, as Sir Callaghan O'Brallaghan in "Love a la Mode." [Garrick Club.] R.A., 1803. Engraved by W. Ward, 1806. General Sir John (afterwards Lord) Keane. [Sir John Keane, Bart.] R.A., 1823. John P. Kemble, R.A., 1801. Engraved by W. Sharp, 1803. Mrs. Stephen Kemble, as Cowslip in "The Agreeable Surprise"; also known as "The Country Girl." [Asher Wertheimer.] R.A., 1793. Christie's, Sir C. Quilter's sale, 9th July, 1909. William, 2nd Lord Kensington. R.A., 1809. This and the foregoing picture were in the painter's custody at the time of his death, and were probably afterwards sold. Their present ownership is not known. William, 3rd Lord Kensington.—See Edwardes. Lloyd, 1st Lord Kenyon. Begun by Romney, finished by Shee. [National Portrait Galley.] A bust portrait. Holl engraved another portrait of Kenyon, after Shee, a seated figure to below the knees. Colonel (afterwards Sir) Edward Kerrison. R.A., 1814. Engraved by W. C. Edwards, 1818. Mrs. Martha Mary (afterwards Lady) Kerrison. R.A., 1812. Engraved by T. A. Dean for Burke's "Portrait Gallery of distinguished Females," 1833. Rev. Walter Blake Kirwan. [T. W. Anderson, Grace Dieu, Waterford.] R.A., 1803; R.H.A., 1831. Ex. Dublin, 1853, by Rev. Anthony La Touche Kirwan, Dean of Limerick. Engraved in mezzotint by G. Clint, 1806, and by T. Blood, 1814. Very Rev. Bruce Knight, Dean of Llandaff. R.A., 1844. H. Galley Knight, M.P. R.A., 1841. Engraved by S. W. Reynolds, 1841. Mrs. Lafarque, of Husbands, Leicestershire. Christie's, 16th Feb., 1907. Mrs. Anne Shaw Leake, née Plunkett. Christie's, 2nd July, 1909. Miss Lee, as Ophelia. R.A., 1804. Charles Shaw Lefevre, Speaker of the House of Commons, afterwards Lord Eversley. [Speaker's House, Westminster Palace.] R.A., 1842. Engraved by S. W. Reynolds, 1843. William Robert, 2nd Duke of Leinster. [Duke of Leinster, Carton.] R.A., 1802. Engraved in mezzotint by C. Turner, 1804; and in stipple, bust only, by J. Heath for Barrington's "Historic Memoirs." Augustus Frederick, 3rd Duke of Leinster. R.A., 1819. William T. Lewis, as the Marquess in "The Midnight Hour." [National Gallery.] R.A.,1792. Engraved by John Jones, 1792. George Little, of Pencraig, Herefordshire. Painted in 1788. Thomas, 2nd Earl of Longford. R.A., 1825. Mrs. Lushington, as a Bacchante. R.A., 1799. Master Lyster. All (this and two above) painted in Dublin about 1786. Alexander McDonnell, Bishop of Upper Canada. R.A., 1824. Engraved in mezzotint by C. Turner, 1825. Thomas Maltby. R.A., 1799. Sold at Foster's, London, 15th November, 1905. Mrs. Maltby and child. Sold at Foster's, London, 15th November, 1905. Lady Catherine Manners. Christie's, E. Heinemann's collection, March 1902, sold for £819. — Marshall, actor. Engraved by W. Ridley for "Bellamy's Picturesque Magazine," 1793. Mrs. Perceval Maxwell. R.A., 1840. Thomas Nixon Millward. Christie's, 23rd June, 1878, 17 guineas. Miss Moffatt. R.A., 1826. A portrait of Miss Moffatt was at Christie's, 10th June, 1899. Francis, Earl of Moira, afterwards Marquess of Hastings; whole-length, in uniform, in attitude of speaking in the House. R.A., 1804. Engraved by G. Clint, 1805; by H. R. Cook in "Military Panorama," 1813, and for Gifford's "History of the War," 1816; also by G. Parker in Jerdan's "National Portrait Gallery," 1829. Thomas, 1st Lord Monteagle. Painted for the Chamber of Commerce, Limerick. R.A., 1822. Mrs. John Carrick Moore. R.A., 1840. Thomas Moore, poet. [Major Connellan, Coolmore.] Formerly belonged to Arthur Guinness of Stillorgan; afterwards to Corry Connellan. Engraved by J. Burnett, 1820, and W. T. Fry. While in the possession of Arthur Guinness a copy was made for the R.I. Academy. Thomas Moore, poet. [Earl of Ilchester.] One of these portraits was in R.A. in 1817. J. B. S. Morrit, in costume of Arch-Master of the Dilettanti Society. [Dilettanti Society.] Painted for the Society. R.A., 1832. Thomas Morton, dramatist. [National Portrait Gallery.] R.A., 1835. Engraved by T. W. Hunt for the "Art Journal," 1854. Joseph S. Munden. Engraved by Ridley or "European Magazine," 1796. Sir Thomas Munro, Governor of Madras. R.A., 1820. Sir Thomas Munro, Governor of Madras. [Government House, Madras.] R.A.. 1829. Engraved in mezzotint by S. Cousins, 1830, and by H. Meyer, half-length only, in Jerdan's "National Portrait Gallery," 1830. Joseph Neild, M.P. R.A., 1837. Engraved by S. Cousins, 1838. Sir John Nicholl, judge; in uniform as Colonel of St. Giles and Bloomsbury Volunteers. R.A., 1806. Engraved in stipple by P. W. Tomkins, 1806. William Norris, President of the College of Surgeons. R.A., 1826. George O'Connor, as a boy; son of Rev. John O'Connor, rector of Castleknock, and afterwards himself rector there. Sold at Christie's as a Romney, 13th December, 1912, for 720 guineas. Painted in Dublin about 1786. Onley Saville Onley. R.A., 1826. Mrs. Henry Owen, in a cottage dress. R.A., 1820. Major O'Shea of the Loyal Cork Legion; equestrian portrait. R.A., 1798. General Lord Edward Paget. Messrs. Knight, Frank and Rutley, collection of Sampson Fox, of Grove House, Harrogate, July, 1911. Lady Palmer and child. R.A., 1825. William H. Pattisson, of Witham, Essex. R.A., 1834. General Sir Thomas Picton. R.A., 1816. Engraved by C. Turner, 1818; and by T. A. Dean for Robinson's "Life." General Sir Thomas Picton. [National Portrait Gallery.] Engraved in stipple by H. R. Cook for "Military Panorama," 1812; by R. Cooper for Caddell and Davis's "Contemporary Portraits," 1815, and by T. Blood for "European Magazine," 1815, and in mezzotint by J. C. Easling, 1815. General Sir Thomas Picton. [Waterloo Gallery, Windsor.] Painted for the King. R.A., 1836. Captain Pierpoint, R.N. R.A., 1800. Alexander Pope, actor and artist. R.A., 1792. Alexander Pope, actor and artist. R.A., 1797. Mrs. Pope (formerly Miss Campion), as Juliet. [Garrick Club.] Engraved by W. Ward, 1804. Mrs. Pope (formerly Mrs. Wheatley). R.A., 1803. Lieut.-General William Popham. [National Portrait Gallery.] R.A., 1814. Miss Mary Power (afterwards the artist's wife). Painted in 1793. Thomas Poynder, jun., Treasurer of Christ's Hospital. R.A., 1836. Engraved in mezzotint by H. Cousins, 1837. John G. Ravenshaw. R.A., 1833. Mrs. John Reid. R.A., 1814. Mr. Rennie. R.A., 1794. " One of the best, if not the very best, in the Exhibition" (Pasquin). Joseph Richardson, M.P. R.A., 1792. Engraved by W. J. Newton, and by W. Ridley in "The Monthly Mirror," November, 1800. Mrs. Riddell. Christie's, Col. Sibthorpe's sale, 7th May, 1897. Mrs. H. Robinson and son. R.A., 1800. George Romney. R.A., 1799. Engraved by W. Bond for Britton's "Fine Arts of the English School," 1810. William Roscoe. Painted for the Manuscript Library of T. W. Coke of Holkham. R.A., 1817. Robert Roy, Master of the Academy, Burlington Street. R.A., 1802. Engraved by J. Heath, 1804. Sir Edward Ryan, Chief Justice of Bengal. Painted for Calcutta. R.A., 1844. Thomas Ryder, actor. Painted in Dublin. Engraved by James Ford, and published by him at 15 Essex Quay. Lt.-General St. Leger. R.A., 18 16. Annesley Shee, founder of the Benevolent Society of St. Patrick. [Major M. A. Shee, 16 Park Street, London.] Bought at Christie's, 14th July, 1911. George Shee, son of the painter. [Major M. A. Shee, 16 Park Street, London,] R.A., 1798. Two Boys, sons of the painter. Christie's, 10th June, 1899. John B., 1st Earl of Sheffield. Painted at the request of the House of Assembly, New Brunswick, for the Province Hall. R.A., 1806. Colonel Sheldon. R.A., 1809. Engraved by G. Clint, 1809. William Sheldon. R.A., 1816. Engraved by C. Turner, 1817. Thomas V. Short, Bishop of Sodor and Man. R.A., 1842. John Charles, 3rd Earl Spencer. [Earl Spencer.] R.A., 1802. John Charles, 3rd Earl Spencer. R.A., 1804. Lavinia, Countess Spencer. R.A., 1802. Engraved by C. Turner, 1804, and by T. Williams for "Bell's Weekly Messenger," October, 1813. Sir George T. Staunton, Bart. R.A., 1833. Sir Thomas Strange, Chief Justice of Supreme Court of Madras. Painted for Christ Church, Oxford. R.A., 1829. Charles, 1st Lord Sudeley. R.A., 1840. Charles R. Sumner, Bishop of Winchester. R.A., 1833. Engraved by S. Cousins, 1834. G. Watson Taylor, M.P. R.A., 1821. Christie's, 1832. Mrs. Watson Taylor. R.A.. 1821. Christie's, 1832. Mrs. Watson Taylor. Another portrait. Christie's, 1832. Murrough, 1st Marquess of Thomond. R.A., 1805. Henry Thomson, R.A. [Royal Academy, Burlington House.] R.A., 1828. Mary Anne, Lady Thorold. R.A., 1832. General Patrick Tonyn. R.A., 1804, Engraved by G. Clint, 1804. Charles Tooke. R.A., 1823. Rev. William Tooke. R.A., 1816. Mrs. Hutches Trower. R.A., 1815. Mrs. Edward Tunno. R.A., 1829. Miss Maria Tunno. R.A., 1821. Charles Hampden Turner. R.A., 1842. Sharon Turner. R.A., 1817. Ex. South Kensington, 1868, by Rev. Sydney Turner. Thomas Frewen Turner. R.A., 1837. Sir Robert Williams Vaughan, Bart., M.P. Painted for the County Hall, Merionethshire. R.A., 1831. Edward Vaux. R.A., 1801. Engraved by S. W. Reynolds. General Vicars. Belonged to the La Touche family, Ex. Dublin, 1853, by Mrs. Boyle. Major Vickers, 2nd Life Guards. R.A., 1799. Queen Victoria, in robes worn at the opening of Parliament. [Royal Academy, Burlington House.] R.A., 1843. Major-General Sir Hussey Vivian, afterwards Lord Vivian. R.A., 1815. Engraved by H. Meyer. Lady Vivian. R.A., 1817; another in 1835. Mrs. Harvey Webbe. R.A., 1802. Richard, Marquess Wellesley, K.G. R.A., 1833. Rev. William Wightwick. R.A., 1840. A. J. Wilde, sheriff of London and Middlesex. R.A., 1829. John Wilde, LL.D., Trinity College, Cambridge. R.A., 1827. William IV, when Duke of Clarence. [Corporation of Liverpool.] Painted for the Merchants of Liverpool. R.A., 1800. Engraved in mezzotint by James Ward, 1801. John Williams ("Anthony Pasquin"), R.A., 1792. Engraved by J. Wright. Thomas Williams, M.P., R.A., 1800. Mrs. Williamson as Miranda. R.A., 1804. Captain John Woolmore, R.N., Deputy Master of the Trinity House. Presented to the Elder Brothers of the Trinity House. R.A., 1831. Engraved by C. Turner, 1833. Rt. Hon. Charles Watkins Williams Wynn. R.A., 1830; another in 1841. King Lear in the Storm, with Gloster and Edgar. Painted in 1788. Portrait of a Young Lady as Miranda. R.A., 1794. A Cottage Girl. R.A., 1800. A Cottage Girl. [Duke of Sutherland.] R.A., 1805; B.I., 1807. A Peasant Girl. B.I., 1818 (3 ft. 7 by 3 ft. 2). A Peasant Girl (2 ft. 5 by 2 ft. 1). [National Gallery of Ireland.] Formerly in collection of Lord De Tabley. An etching is in the catalogue compiled by J. Young, 1821. A Sleeping Girl. R.A., 1806; B.I., 1807. Prospero and Miranda. R.A., 1 806; B.I., 1807. St. Peter. [Duke of Sutherland.] B.I., 1807. Lavinia. R.A., 1808; B.I., 1809. Lavinia. R.A., 1830; B.I., 1813. One of these at Christie's, Col. Sibthorpe's sale, 7th May, 1897. Belisarius. [Diploma Gallery, Royal Academy.] Engraved by S. Sangster for the Royal Irish Art Union in 1844. Date Obolum Belisario. B.I., 1809. One of the Fathers expounding the Sacred Books. B.I., 1818. Mother and child. B.I., 1823. A Contemplative Boy. B.I., 1812. Infant Bacchus. [Vernon Gallery.] R.A., 1824; B.I., 1825. Engraved by T. Vernon in "Art Journal," 1852. Ariadne. R.A., 1834. ? The "Ariadne deserted by Theseus" in the Glasgow Gallery. A Jew Rabbi. [Late Sir Julian Goldsmid, Bart.] R.A., 1837; B.I., 1841.